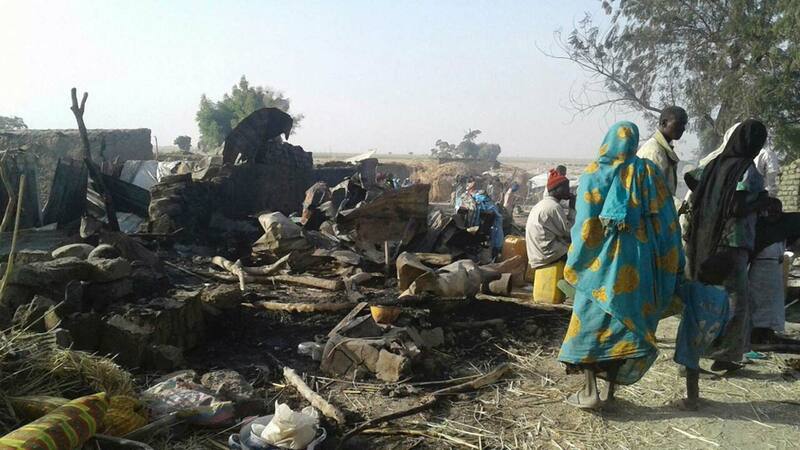 A ruthless disregard for human life by the Boko Haram insurgents and Fulani herdsmen continued across the country yesterday even as the Middle Belt Patriotic Front (MB-PF) lamented failure by the current administration to provide security for the people. In Borno State, about 20 people are feared killed by insurgents in fresh attacks on the University of Maiduguri (UNIMAID), Internally-Displaced Persons (IDP) camps and Lake Alau farmlands in Konduga Local Council. The attacks, according to sources, began Sunday night and extended to the early hours of yesterday. Eight people, including the suicide bombers who detonated their explosives at Dalori I and Dalori II camps, died. In a statement, the Police Public Relations Officer (PPRO), Victor Isuku, said only the suicide bombers died in the attacks. Mallum Bunu, a resident of Kaleri, told The Guardian that some suspected members of Boko Haram armed with AK-47 rifles ambushed farmers on various farmlands and killed over 15 of them, while many others sustained gunshot injuries. Meanwhile, Acting President Yemi Osinbajo yesterday met with the service chiefs and the Governor of Borno State, Kassim Shettima, to drive the “Bama Initiative” aimed at facilitating the reconstruction and rehabilitation of the North East. Others at the meeting were the Chief of Staff to the President, Abba Kyari; the National Security Adviser, Babagana Monguno and the Minister of Interior, Abdulraman Danbazzu. Speaking with State House correspondents after, Governor Shettima said that the meeting was to cross-pollinate ideas on the rebuilding of the North East. Besides, the Ozalla Divisional Police Station is now serving as temporary home for natives of Umuanee and Obeagu in Nkanu West Local Council of Enugu State, who fled their communities on Sunday following an alleged threat of attack and invasion by herdsmen. At the police station yesterday, The Guardian saw scores of children, elderly men and women taking refuge at the place. They were said to have passed the night at the police station for fear of attack. Apparently to register their displeasure on the development, hundreds of Ozalla youths, led by the President General of the affected communities, prevented human and vehicular movements for several hours at the Ozalla junction on Enugu-Port Harcourt Highway. The protesters who carried placards with various inscriptions and green leaves and blocked the two lanes of the road, said they had become refugees in their land following the incessant threats. They called on the state government to intervene to save bloodbath. It took the combined efforts of soldiers, police and other security agencies for normalcy to be restored on the highway. The Guardian learnt that trouble started following the death of one Ibrahim Tobi last week, alleged to have been murdered while grazing in the area. Two days later, the decomposing body of Tobi was discovered and picked by leaders of the Fulani herdsmen in company of some security personnel for burial. The police returned at the weekend to the community and picked the vigilance group leader, Bonaventure Nwoye, and detained him on allegation of murder. But the Leader of the Fulani community in the state, Seriki Abubakar Yusuf Sambo, debunked the claims of threat of attack, saying that the natives fled out of fear. Also, the police, in a statement signed by the Public Relations Officer, Ebere Amaraizu, confirmed that Nwoye was arrested.